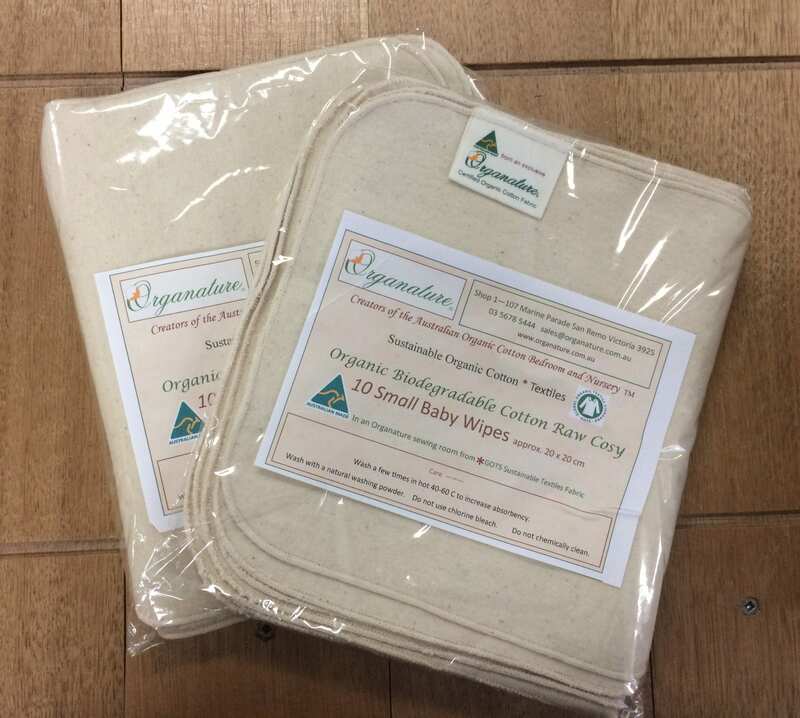 These Natural wipes are great for the nursery and are soft and perfect to use on even the most sensitive skin. 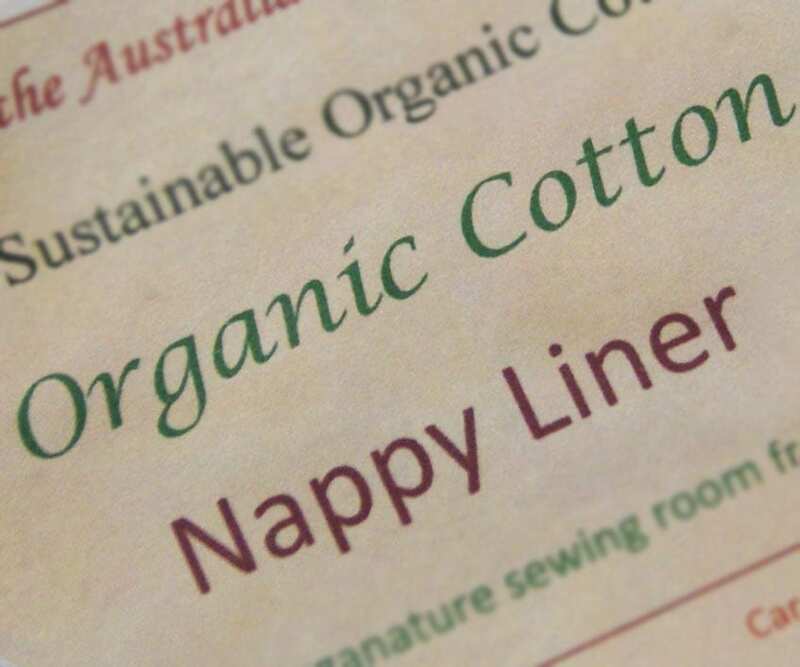 Being a natural fabric with No bleach and No Dye (excludes Cream Cosy which has a natural non-harmful dye), it also allows you to monitor your baby’s health by noticing exactly what’s coming out their rear end. 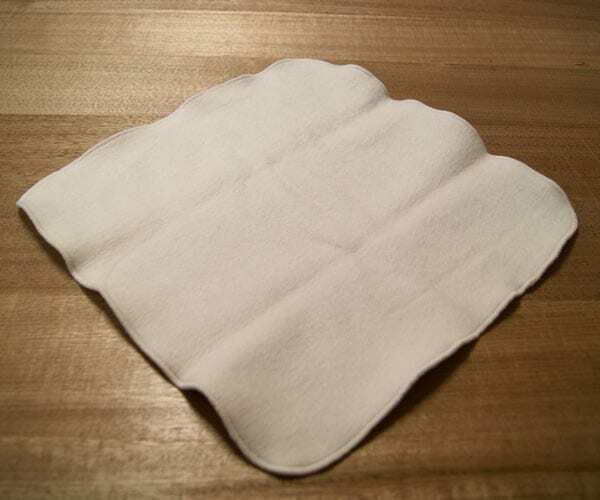 After a few washes, these wipes will soften and become even more absorbent. 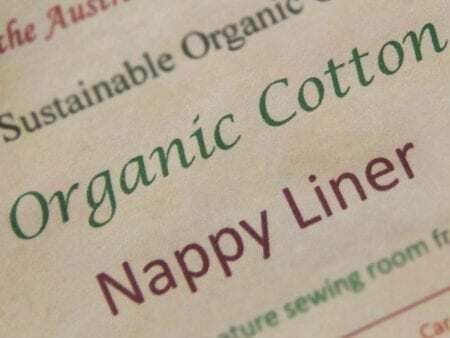 100% GOTS Certified Organic Cotton baby wipes – available in a 10 pack and a 5 pack in small and large sizes. 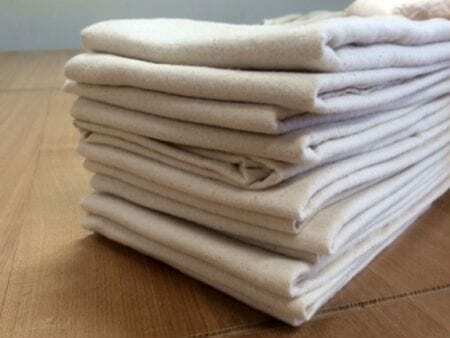 The Natural Fleece (light weight) and our Raw Cosy Flannel (winter weight) is un-dyed and un-bleached. 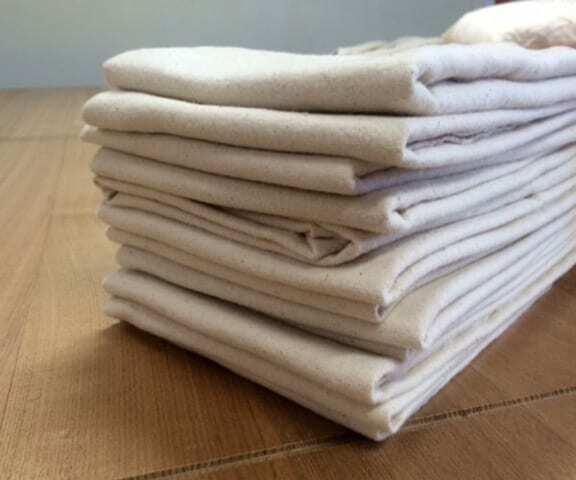 Cream Cosy Flannel has a natural non-harmful dye. 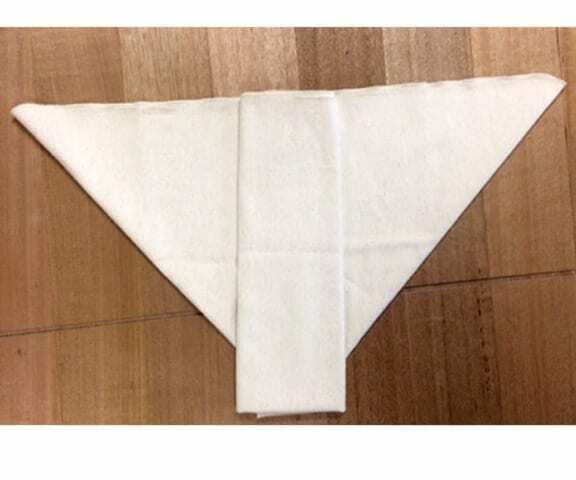 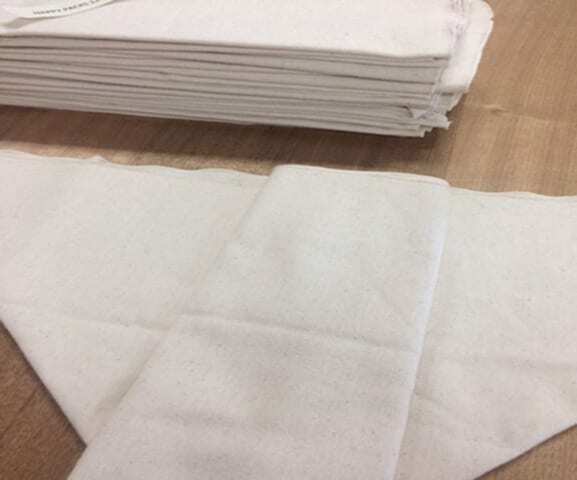 With over-locked edges these measure between 20 cm to 30 cm square (small), or approx 30 cm to 40 cm square (large). 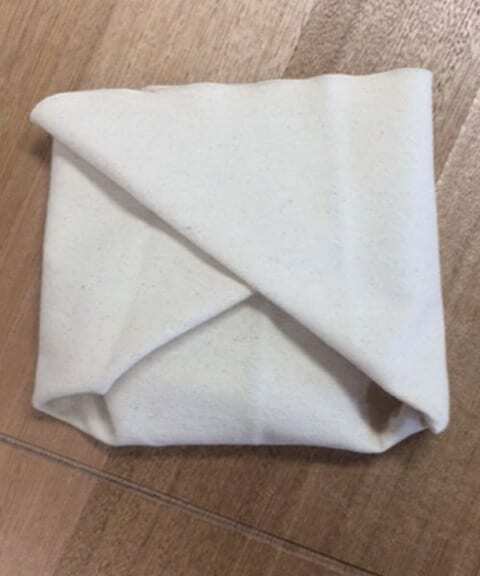 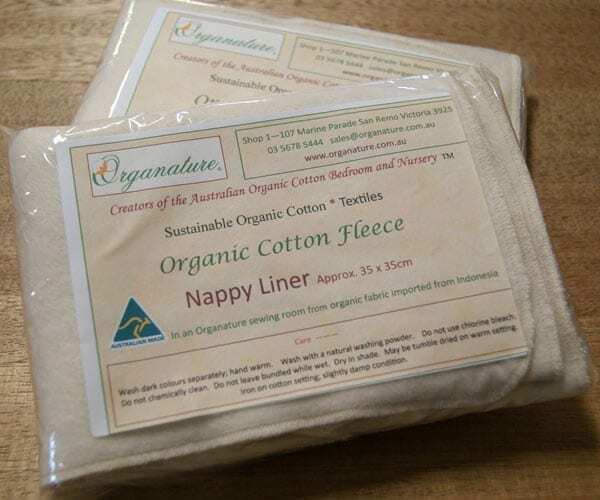 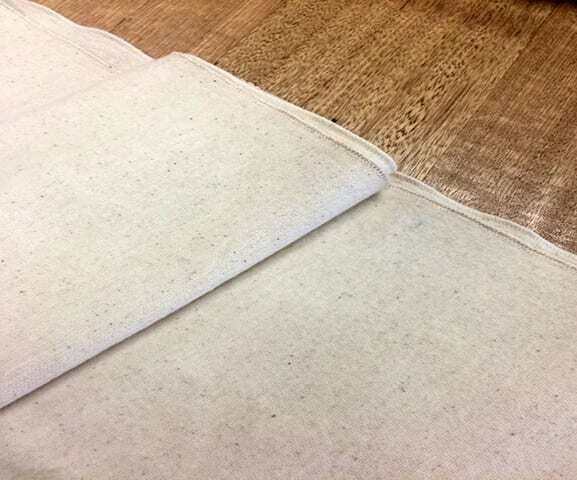 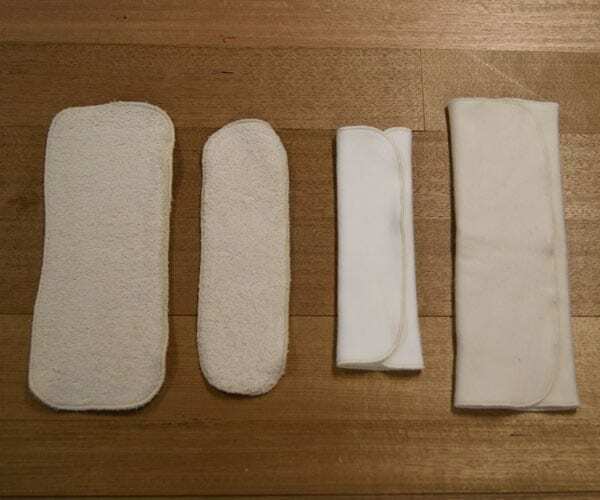 You may also be interested in our Organic Versatile Wipes for kitchen use, removing makeup, as useful travel wipes and cleaning hands and faces.